This newsletter is not a joke… it’s all new, true, fun, and filled with valuable information on the Edmonton Real Estate market. - Preferred Group Team Member Update – It’s a girl! - Preferred Market Interpretation – prices falling back to 2009 levels, but trending up in spring. We’ll be sending two emails per month now, with this second one for March 2011. One around the mid-point of the month with summarized links to various BLOG posts we’ve done over the past month filled with valuable information. The second will be our full newsletter with different information and matches our paper mail version. 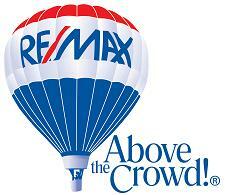 The speed of the real estate market changes weekly, so web is the best way for us to keep you informed. - Federal Budget & Election…how does it affect landlords?